This week, I presented some reflections on leadership to my local chapter of the National Associations of Asian American Professionals (NAAAP). I’ve been the local chapter president for the past two years and involved with both the local chapter and the National organization for the past three. Thanks to everyone who showed up, and here’s a version of my presentation here. Don’t follow anyone’s advice (including mine). As Asian Americans, we’re taught to respect the advice of our elders or people who are higher in level to us. But sometimes you get conflicting advice, and even wrong advice. Listen to everyone’s advice, but don’t follow any one person’s advice. Take into account the lens that he or she is seeing things with. Some give it because they love you, some give it because they think they’re helping you, and some give it because they need to feel important. Older, more experienced people are great places to go for advice. But look for people with different viewpoints, which may include younger people. Listen to their points, think them through according to your own lens, and go from there. Seek out advice from a diverse group of people whom you respect. Be wary of people who want to be advisors, mentors, experts, or consultants. Advisors, mentors, experts, and consultants can be valuable, but many of them aren’t as valuable as they think they are. In an organization that you lead, you need people who do practical work and can execute on what they preach. An organization with too many of these people will bog down to a crawl and never move forward. Be wary of “idea” people. Similar to the above, these people probably mean well, but in the end they aren’t very valuable. Nothing wrong with sharing ideas, but look for people who will help execute ideas or have a track record of actually executing ideas in the past. Look for, and be, someone who is in it for the cause. Sure, there are other benefits to joining an organization. Getting clients. Meeting that special someone. But these need to be secondary objectives that need to happen as you are contributing to the mission of the organization. Look for, and be, someone who takes initiative. They identify needs, propose action, and take action without needing to be told. Look for, and be, someone who do things between meetings. You can have people who can sound good giving updates during meetings, but if those updates are the same for 3 straight meetings, be wary. It might be time to find someone else to do it. Put some thought into your role or task; call some people (see below), draw up some thoughts, plans, and strategies and see what people think. Look for, and be, someone who holds the leaders accountable. Don’t let your leaders hold things up, make sure they know what they need from you. 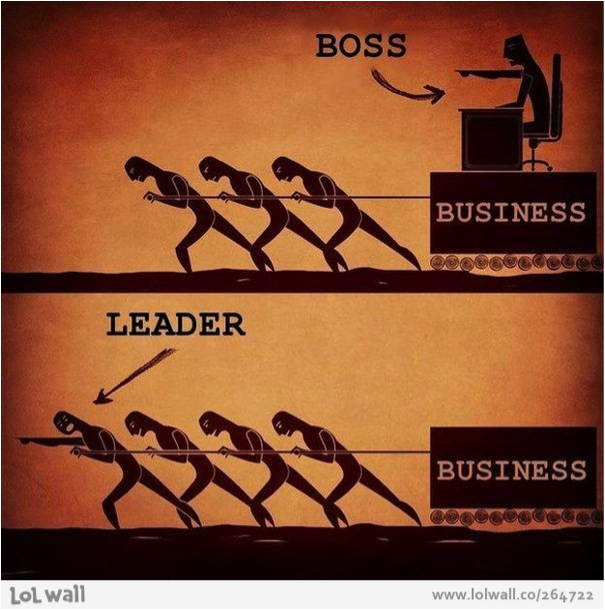 Be a leader, not a boss. A leader sets an example for the team. A boss just tells people what to do. Figure out what needs to be done to move your organization forward, and make sure it’s done, even if you have to do it yourself. Of course, ideally everyone pulls his/her own weight and you can delegate important tasks to smart, competent people. But you can’t hold up the organization because someone isn’t doing his/her job. If he/she is offended because you’re stepping on his/her toes, ask for forgiveness. And keep doing it. Then teach, delegate to, or replace the person who couldn’t do it right. Don’t just sit back and complain and let the organization go down the drain. Get a diverse team. It’s comfortable to get people who are like you, but you need people who are not like you. The worst leaders are ones that surround themselves with people they are comfortable with and think the same, or worse yet people who will be allies because they feel threatened. If you do, you’ll get a whole lot of confirmation bias, where you only hear what you want to hear (and not the truth). The best leaders surround themselves with people of all types, with different points of view. not just ones who are comfortable to him/her. Listen and seek diverse views. Seek out different opinions. Ask “OK, is there anyone out there who has a different view?” Even if you end up not going with the different opinion, it’s still makes your current direction better because you’ve considered an alternate opinion. This helps you manage confirmation bias. Learn how to speak up. As Asian-Americans, we’re taught the squeaky wheel gets replaced. We need to speak up. But, we need to do it in a way that’s between “passive aggressive” and “blowout tantrum.” Pick an opportunity to say your point of view clearly and concisely. One great way is to start it with “I agree because of two things,” say the two points concisely, and then invite dicussion. If it’s a different opinion, start with “I have a different point of view, because of two things,” or if you need to make a stronger statement, “I disagree and here’s why.” Then let the vote or the decision maker make the decision, and accept it. Addendum: If something is wrong, you must speak up. If there are ethical issues, you must speak up. You actually could get in trouble if you don’t. And if someone else is speaking up about it, support him or her. Fight perfection; take risks. Learn from each. We had an event where 2 people showed up who weren’t NAAAP officers. But it doesn’t mean you give up; make sure those 2 people have your undivided attention. Figure out what you’d do differently, and what you’d continue to do. Or sometimes you just have bad luck. If you give it your all, it’s better to do it and learn from it than not do it at all. Bring on as many good people as possible. Don’t feel threatened; the organization will be better off because you did (and you’re in it for the mission right?). Don’t be afraid if this person duplicates skills of another person, there’s always room for good people. Don’t worry about titles and roles to start. You want all-star teams. In the 1984 NBA Draft, the Portland Trail Blazers didn’t need a shooting guard, so they passed on one and selected a center named Sam Bowie. With the next pick, that shooting guard was taken by the Chicago Bulls. His name? Michael Jordan. Do you think the organization would have been better off with Michael Jordan? Things change so fast; you can never have enough good people on your team. Call/talk to people one on one. It’s amazing how much more you can learn about a person when you connect one on one. This allows you to be a better and more effective leader. Even if they disagree with you. If someone disagrees with you, two things will happen: 1. They will be happy you listened, and/or 2. They’ll start to understand your side and be sympathetic to your side. Either way, you’ll be better off understanding. When we’re learning how to drive and we change lanes, we’re taught to check our blind spot. Drive on fast, but keep checking your blind spot. Have fun. We don’t get paid, we don’t get fame, we don’t get social status for being in NAAAP. 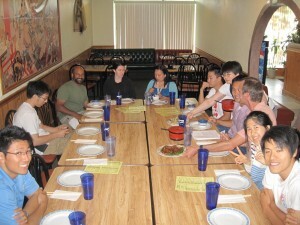 We have fun and get fulfillment by helping the Asian American community. My philosophy is to do what you’re willing and able to do; don’t do any more from yourself or expect more from your teammates. If life happens, make sure everyone knows it’s OK to back off as long as it’s properly communicated. The ironic thing is, people start doing more and more as they get more and more out of the organization, and they stick around more because they don’t burn out. I’ve still got this starred in my inbox 😀 Really thoughtful points made! Thanks @disqus_UEy4qmMJUI:disqus! Anything to add?